Learn skills for effective parenting! 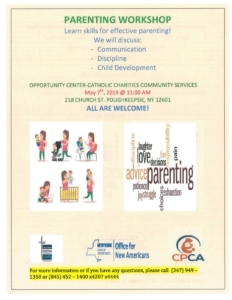 A parenting workshop will be offered on May 7, 2019 at Catholic Charities Community Services, 218 Church St., Poughkeepsie, NY at 11AM. 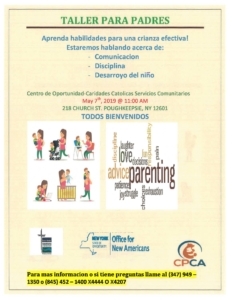 Communication, Discipline and Child Development will be discussed. 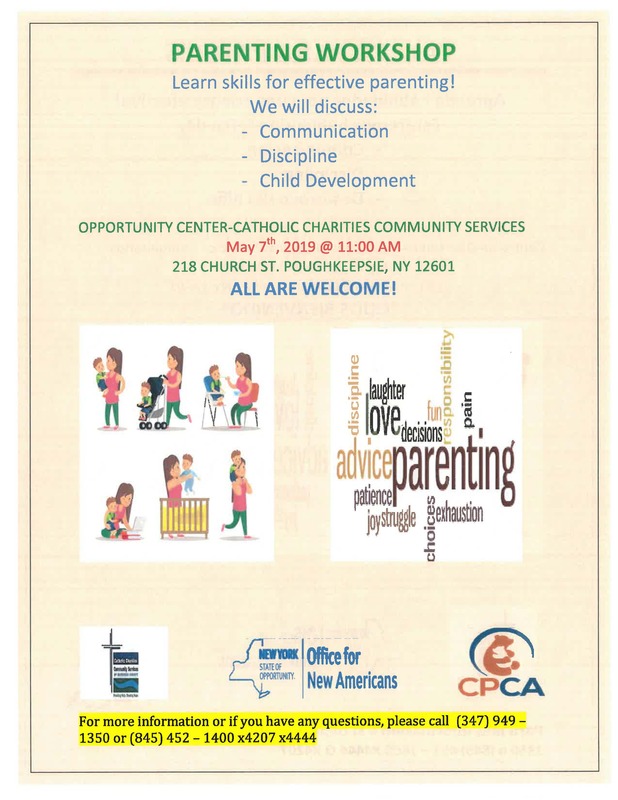 For more information: (845) 452-1400 x4444 or x4207.